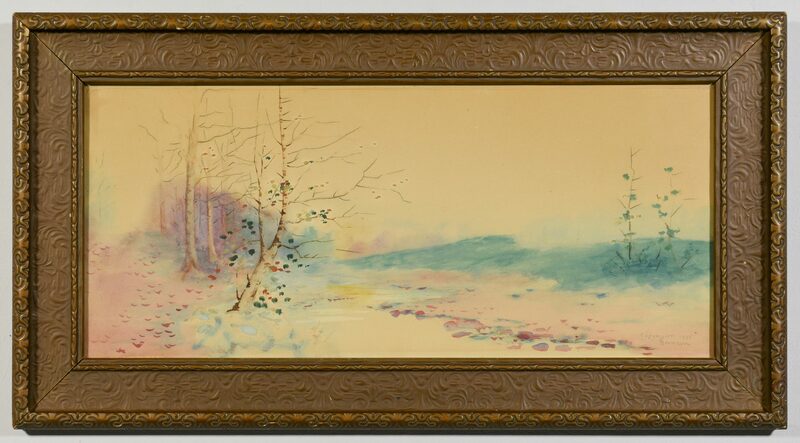 Lloyd Branson (Tennessee, 1861-1925) panoramic watercolor winter landscape scene, pencil signed and dated lower right "Copyright 1896, Branson". 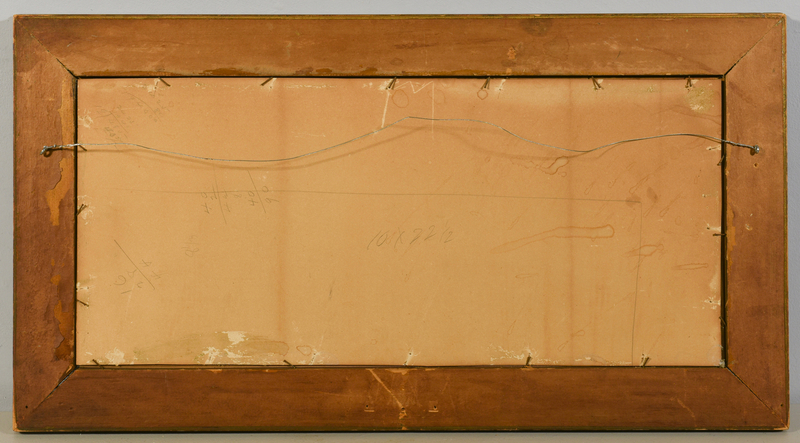 Housed in the original molded gilt wood frame. 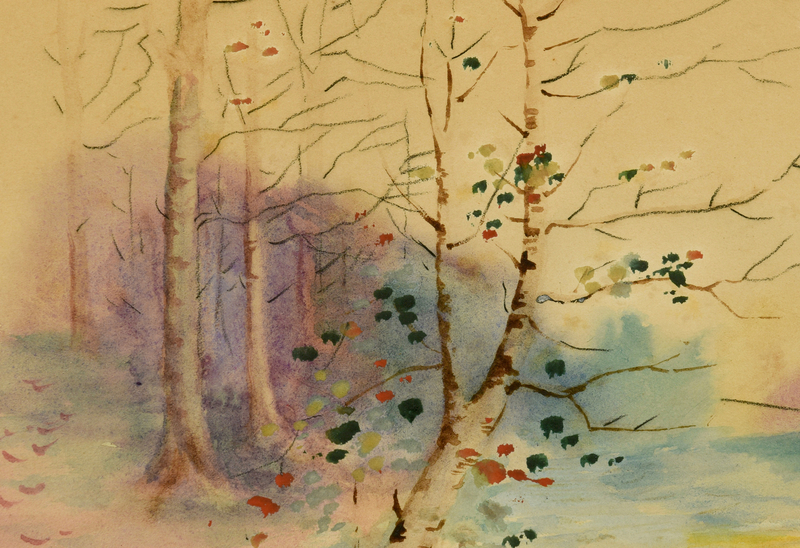 Sight – 9 1/2" H x 21 7/8" W. Framed – 14 1/2" H x 27" W. Biography  Branson is known as the first East Tennessee artist to receive formal art training in Europe (at the National Academy of Design in Paris) and studied at the National Academy of Design in New York. 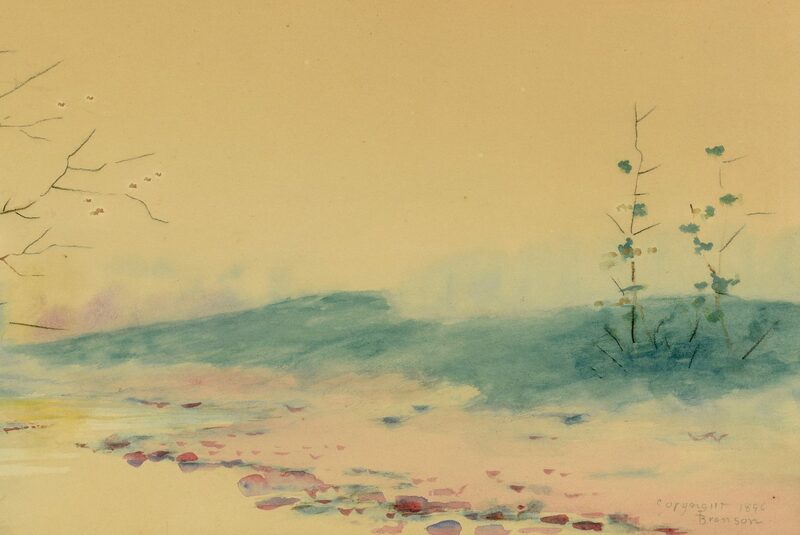 He returned to Tennessee and entered into a business partnership with Frank McCrary from 1885 to 1903, and became a leader in the East Tennessee arts community. Research courtesy of James A. Hoobler, Tennessee State Museum. CONDITION: Some minor toning to paper. Very minor scattered chipping to frame.